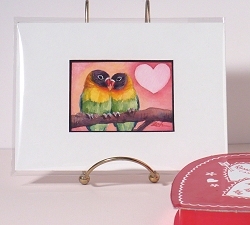 Since Valentine's Day is fast approaching, here's another cute couple of Lovebirds. 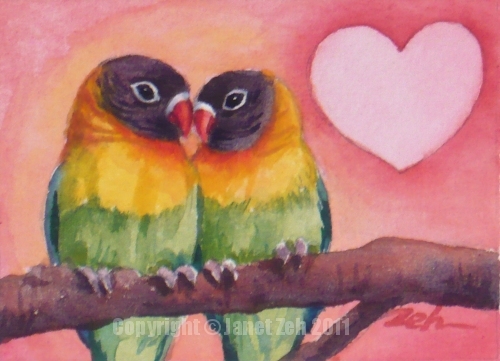 These are Masked Lovebirds. They are so colorful with lime green and yellow feathers and dark chocolate faces. Lovebirds are highly sociable, loyal, affectionate and bond for life. They are most often kept in pairs because singly they require a tremendous amount of attention from whomever they bond with.